USES: This medication is used with other treatments to help prevent and treat wound infections in patients with serious burns. Silver sulfadiazine works by stopping the growth of bacteria that may infect an open wound. This helps to decrease the risk of the bacteria spreading to surrounding skin, or to the blood where it can cause a serious blood infection (sepsis). 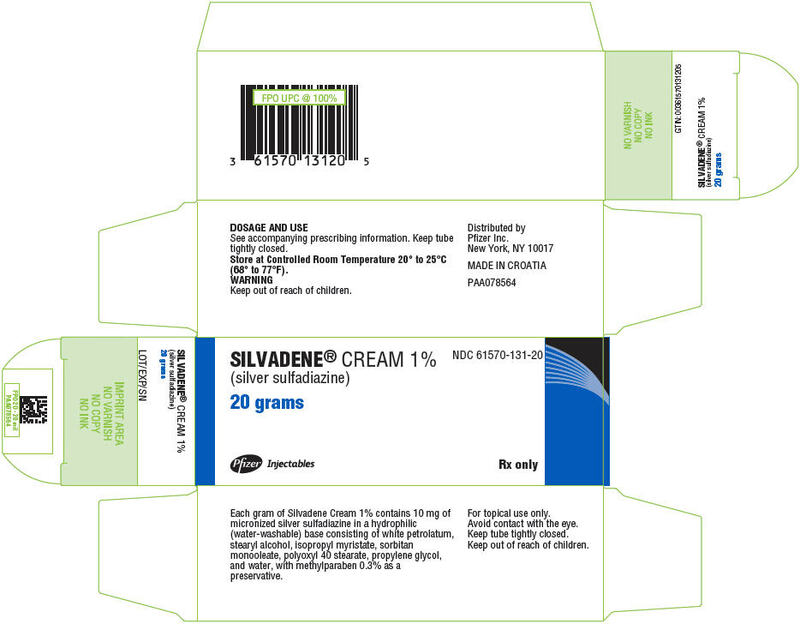 Silver sulfadiazine belongs to a class of drugs known as sulfa antibiotics.Silver sulfadiazine must not be used on premature babies or on newborns during the first 2 months of life because of the risk of serious side effects.OTHER This section contains uses of this drug that are not listed in the approved professional labeling for the drug but that may be prescribed by your health care professional. Use this drug for a condition that is listed in this section only if it has been so prescribed by your health care professional.This drug may also be used to help prevent and treat other skin and wound infections (such as skin ulcers). HOW TO USE: This medication is for use on the skin only.Your health care professional will clean and remove the dead tissue from the wound to help the healing process.Apply this medication to the wound using sterile technique (such as wearing sterile gloves and using sterile application tools), as directed by your doctor, usually 1 to 2 times daily. The layer of medication should be about one-sixteenth of an inch (1-2 millimeters) thick or as directed. The wound should be covered with the cream at all times. Dressings may be applied over the cream, but only if needed. If some of the cream rubs off the wound, reapply it immediately. The cream should also be reapplied immediately after hydrotherapy.Treatment usually continues until the wound is completely healed or until the site is ready for skin grafting.Use this medication regularly to get the most benefit from it. To help you remember, use it at the same time(s) each day.Tell your doctor if your condition persists or if it worsens. SIDE EFFECTS: Pain, burning, or itching of the treated skin may occur. Skin and mucous membranes (such as the gums) may become blue/gray in color. If any of these effects persist or worsen, tell your doctor or pharmacist promptly.Remember that your doctor has prescribed this medication because he or she has judged that the benefit to you is greater than the risk of side effects. Many people using this medication do not have serious side effects.Tell your doctor immediately if any of these rare but serious side effects occur: signs of infection (such as fever, chills, persistent sore throat), easy bruising/bleeding, signs of anemia (such as unusual tiredness/weakness, rapid breathing, fast heartbeat), change in the amount of urine, pink/bloody urine, signs of liver problems (such as stomach/abdominal pain, persistent nausea, vomiting, dark urine, yellowing eyes/skin), mental/mood changes.A very serious allergic reaction to this drug is rare. However, seek immediate medical attention if you notice any symptoms of a serious allergic reaction, including: rash, itching/swelling (especially of the face/tongue/throat), severe dizziness, trouble breathing.This is not a complete list of possible side effects. If you notice other effects not listed above, contact your doctor or pharmacist.In the US -Call your doctor for medical advice about side effects. You may report side effects to FDA at 1-800-FDA-1088.In Canada - Call your doctor for medical advice about side effects. You may report side effects to Health Canada at 1-866-234-2345. PRECAUTIONS: Before using silver sulfadiazine, tell your doctor or pharmacist if you are allergic to it; or to other sulfa antibiotics (such as sulfamethoxazole); or if you have any other allergies. This product may contain inactive ingredients, which can cause allergic reactions or other problems. Talk to your pharmacist for more details.Before using this medication, tell your doctor or pharmacist your medical history, especially of: a certain enzyme deficiency (G6PD or glucose-6-phosphate dehydrogenase deficiency), kidney problems, liver problems, low white blood cell count.Before having surgery, tell your doctor or dentist about all the products you use (including prescription drugs, nonprescription drugs, and herbal products).During pregnancy, this medication should be used only when clearly needed. This medication must not be used near the expected delivery date because of possible harm to the unborn baby. Discuss the risks and benefits with your doctor.It is unknown if this medication passes into breast milk. However, similar drugs pass into breast milk and may harm nursing infants who are ill, premature, less than 2 months old, or who have certain disorders (such as jaundice, high blood levels of bilirubin, G6PD deficiency). Therefore, breast-feeding while using this drug is not recommended in infants with these conditions. Consult your doctor before breast-feeding. DRUG INTERACTIONS: The effects of some drugs can change if you take other drugs or herbal products at the same time. This can increase your risk for serious side effects or may cause your medications not to work correctly. These drug interactions are possible, but do not always occur. Your doctor or pharmacist can often prevent or manage interactions by changing how you use your medications or by close monitoring.To help your doctor and pharmacist give you the best care, be sure to tell your doctor and pharmacist about all the products you use (including prescription drugs, nonprescription drugs, and herbal products) before starting treatment with this product. While using this product, do not start, stop, or change the dosage of any other medicines you are using without your doctor's approval.Some products that may interact with this drug include: cimetidine, certain drugs used to treat diabetes (sulfonylureas such as glipizide, glyburide), phenytoin, skin products containing sodium sulfacetamide, enzyme products used to break down and remove dead skin/tissue from burns and wounds (such as collagenase, papain, trypsin).An inactive ingredient in some brands of this medication (propylene glycol) may be absorbed and may interfere with certain laboratory tests, possibly causing false test results. Make sure laboratory personnel and all your doctors know you use this drug.This document does not contain all possible drug interactions. Keep a list of all the products you use. Share this list with your doctor and pharmacist to lessen your risk for serious medication problems. NOTES: Do not share this medication with others.Laboratory and/or medical tests (such as white blood cell count, kidney function tests, blood tests) should be performed periodically to check for side effects. Consult your doctor for more details.Keep all regular medical and laboratory appointments. STORAGE: Store the US product at room temperature between 59-86 degrees F (15-30 degrees C) away from light and moisture. Do not store in the bathroom.Store the Canadian product between 46-77 degrees F (8-25 degrees C) away from light and moisture. To ensure that the medication is sterile, the Canadian 250- and 500-gram jars should be discarded 24 hours after opening. The Canadian tubes should be discarded 7 days after opening. Do not store in the bathroom.Keep all medicines away from children and pets.Do not flush medications down the toilet or pour them into a drain unless instructed to do so. Properly discard this product when it is expired or no longer needed. Consult your pharmacist or local waste disposal company for more details about how to safely discard your product.